Each year the staff and students of Lighthouse Baptist College take a week to help another ministry in the Philippines. This year we went to Malapascua Island to help the Owens family. Many of you will remember Malapascua as the tiny island that survived, Haiyan, one of the world’s largest typhoons. After the storm, the islanders were faced with catastrophic damage but they never lost their resolve to rebuild their community. During that time, our church was able to partner with Pastor Timothy Owens and Malapascua Missionary Baptist Church to bring relief to the survivors of Haiyan. People were helped both physically and spiritually. Now, two years later we returned to Christmas Island. We went street preaching, taught in the public school, invited people to church, and shared the gospel. Going back to Malapascua was a tremendous blessing! We pray that God will continue to use Malapascua Missionary Baptist Church to heal hearts and lives. Last we ek the Philippines was hit by another large typhoon. 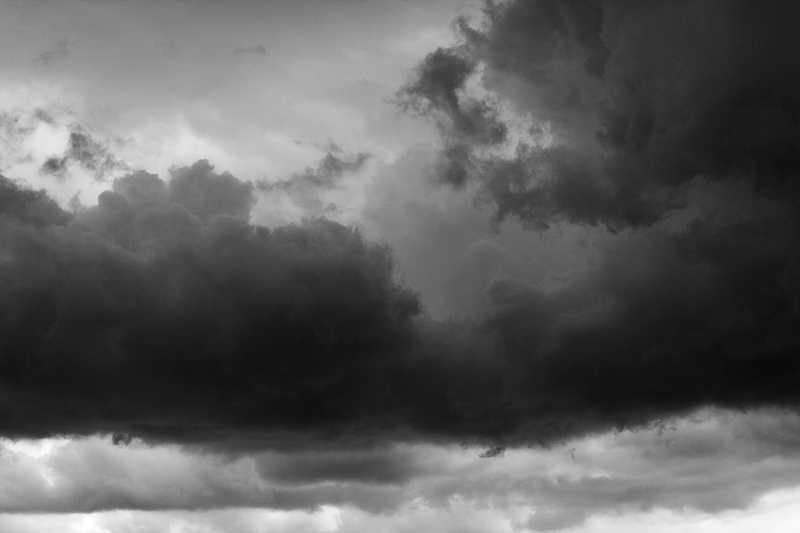 This typhoon followed a similar path to that of its predecessor, Haiyan, causing a lot of concern for the people living in the affected communities. Our own city prepared to face the storm; trees branches were cut, store windows were taped, and families stocked up on supplies. In the Philippines the highest warning for a typhoon is a signal 3 and our city was given a signal 2. The hours leading up to the storm left our city quiet and the roads empty as people hunkered down to face the typhoon. Imagine our great surprise when the storm hit and we were only showered with steady rain! It rained for two days but it wasn’t terrible and the winds were hardly felt. 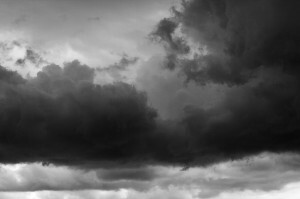 In our Sunday evening service one of our ladies gave this testimony, “It was almost like the hand of God blocked the storm!” What a blessing to see God’s protection even when things appeared dark. We want to thank all of our family and friends who prayed for us during the storm! One year ago, the largest storm known to man hit our Philippine shores. The devastation from, Typhoon Haiyan, was immense. To this day certain regions are still struggling to rebuild but the Filipinos are a resilient people and have risen to the challenge. 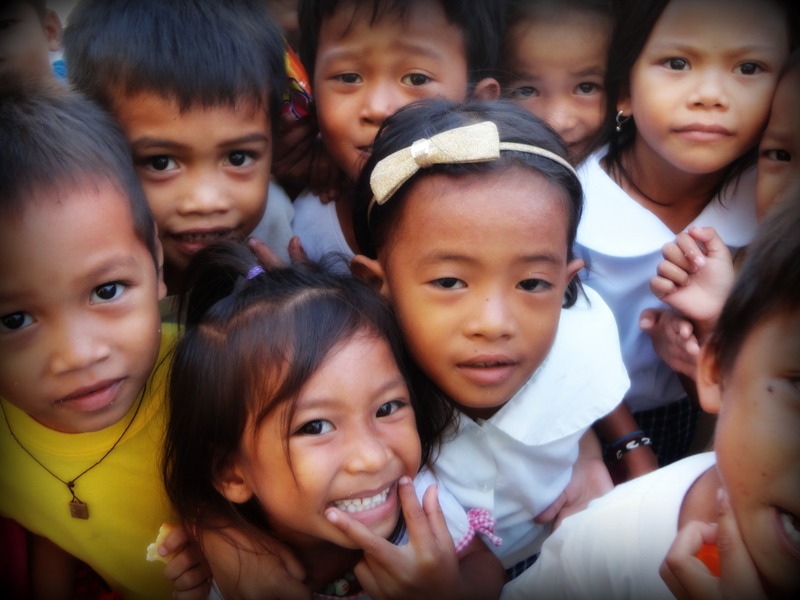 One year ago, in the wake of the storm, we were able to send relief to a tiny island just off the coast of Cebu. 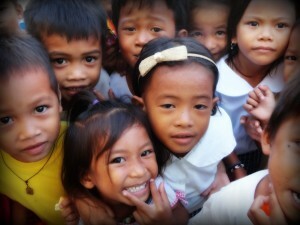 Malapascua didn’t receive a lot of media attention during the crisis but their need was great. Many of you sent donations and we used it to send Malapascua water, food, tarps, rice, and more! It was an amazing way to show these people Christ’s love and hope. 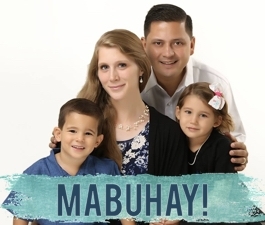 Our own missionary, Pastor Walter Langbid, was there with his family (at the time they were filling in for American missionary, Pastor Timothy Owen, who was on furlough in the USA) during the storm and God used them to touch the lives of countless people. Mrs. Langbid had this to say about their experience, “A year has passed …..we will never forget when typhoon YOLANDA hit Malapascua Island….we were in the kitchen with our kids under a narra table, kaelb felt asleep and kaela was asking when is it going to stop? My husband was my encourager…..BUT the greatest blessing was we were able to FULLY trust the LORD even with our lives…..not even a thought that we will go back home ….the Lord spoke to our hearts that the people there needed the Gospel more….and they did….God gave the increase…….The Lord was our STRENGTH…..and it’s still amazing how until now that WE SO MUCH MISS OUR ISLAND ADVENTURE especially my kids…..that YOLANDA taught us to still smile and be thankful for everything…..”in the day of proseperity be joyful, in the day of adversity consider“…….. We love this family and thank the Lord for their precious testimony! 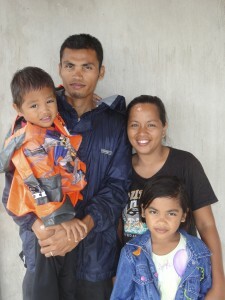 The Lord used them to help the people of Malapascua both physically and spiritually! Now, a year later the church has a wonderful testimony in the community under Pastor Owens’ leadership. Thank you for investing in the people of Malapascua! Last Thursday we made our third trip to Malapascua to bring relief goods to the survivors of Typhoon Haiyan. We loaded our church je ep with over 5, 000 packages of noodle soup, 2, 500 cans of meat, and 1000 pounds of rice! It took 3 days to shop and load the jeep! 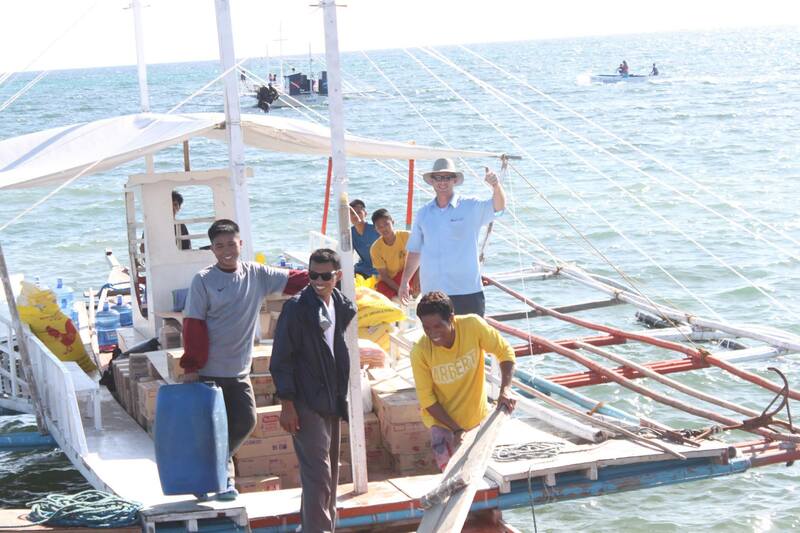 Pastor Travis then left Cebu City at 1 am Friday morning to deliver this relief shipment. They arrived at 5 am and loaded a boat to take everything to Malapascua island. Unloading the boat took 4 hours! The people were so thankful for everything we brought! We packed the goods in bags to be given away. Each member of Malapascua Missionary Baptist Church received enough food for one week. We also gave out 400 relief packages to the people living in the community! Our college guys used the tarps we brought to provide temporary shelters and even put a tarp on the roof of Missionary Timothy Owens home! They worked tirelessly to pick up debris and help these people move on after the storm. A faithful lady from our church set up a medical clinic for two days and saw over 70 patients. That Sunday they held services and many new people were at church for the very first time! Your sacrifice has made such a difference in the lives of these people! We have trips planned every week for as long as there are funds. If you still want to give, mark your gift…Travis Lewis Philippine Disaster Relief Fund and send it to Word for the World P.O. Box 849 Rossville, Georgia 30741-0849. There is still a great need on this little island. With God’s help these resilient people will recover from the storm!